I did something slightly mad today. 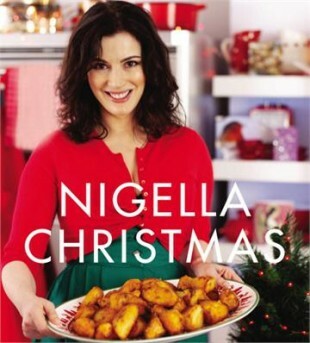 I fed the Tiny One at 5.30am and decided not to go back to sleep, despite being head-achingly tired, but to lie in bed and read Nigella's Christmas. Yes, the momentous occasion has arrived: Christmas menu planning and shopping list writing. It is all done! I have to tell you, I am absolutely knackered writing this at 9.30pm. But I am suffused with the bliss of a big tick off the 'to do' list, Christmas culinary indulgence of the reading kind, and the crazy kind of happiness I get from list making. Other things have been completed too... a postman-style trip around the village popping cards in letterboxes (accompanied by yet another Little One strop - it is now not just daily, but multiplying through the day); a bag for the Little One; and a major, major sort-out of the house so that we start with a tidy and organised canvas before Jackson Pollock-ing it with Christmas debris. Best thing of all... today is my husband's last day at work for a fortnight. Let the festivities begin!